Today Walter Strickland joins us to talk about diversity issues today and how Christian students should respond. Walter is the President for Diversity & Instructor of Theology at Southeastern Baptist Theological Seminary. Walter’s passion is for people from every culture to fully embody the gospel of Jesus Christ in their context. The surge of news about issues involving diversity is probably not new, but rather just more easily seen with the technological age we live in. How should Christian students respond to these issues? First remember we see things through the lense of our experience and our experience is not everyone else’s. There are several Americas that people live in today, but there is one Jesus Christ. We must respond with humility in how we communicate with these issues. Should anglo leaders push for more diversity within their ministry? No, if they are just pushing for pure numbers. We should not just pursue people of different races, but also of different cultures as well. The majority and the minority both must come halfway. The majority can’t make the minority go all the way. We must listen to one another and understand we come from different places. Ask questions and answer them. Ask what are your primary concerns and what would you want changed in the political arena. Come into the conversation honest and humble. Understand that the conversation is not easy and not all of them will be great conversations. Starting with a good friendship is important in having the conversation. Walter Strickland serves as Special Advisor to the President for Diversity & Instructor of Theology at Southeastern Baptist Theological Seminary in Wake Forest, NC, where he leads the Kingdom Diversity Initiative. Born in Chicago and raised in Southern California, Walter’s passion is for people from every culture to fully embody the gospel of Jesus Christ in their context. Prof. Strickland’s interests include contextual theology, theology of mission, African American religious history, studies at the intersection of theology and education, and theology of work. Walter holds a BA from Cedarville University, an MDiv and ThM from Southeastern Seminary, and is pursuing a PhD in theology from the University of Aberdeen (Scotland). Along with being a diversity consultant, frequent conference speaker and itinerant preacher, Walter contributes to Canon & Culture of the Ethics and Religious Liberty Commission (ERLC), Between the Times (the faculty blog at Southeastern Seminary), Gospel Project, and the Biblical Recorder (the North Carolina Baptist state newspaper). Walter’s work has also appeared in Christianity Today, Baptist Press, World Magazine and his first book entitled Every Waking Hour: An Introduction to Work and Vocation for Christians was released in March of 2016. Family Pic 2015He is a member of the Evangelical Theological Society where he was an inaugural student scholarship recipient. He is also an Associate Research Fellow of the ERLC Research Institute. 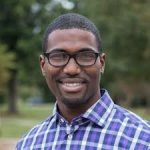 Walter is an ordained minister and is currently a member and small group leader at Imago Dei Church in Raleigh, NC, and he has previously served on the pastoral staffs of Faith Baptist Church in Youngsville, NC and at Summit Church based in Durham, NC. Walter enjoys traveling, playing and listing to music, and communicating God’s word in culturally relevant ways. Walter and his lovely wife Stephanie live in Wake Forest, NC and have a daughter named Hope who is waiting to meet them in glory, and a second daughter named Kendra, and a third named Kaiya.